Detox baths for babies can be very useful. Read on for more information about how I use detox baths. Did you know that you can naturally help your baby detox? In addition to minimizing your child’s exposure to toxins, it is also wise to support their ability to flush toxins from their body. Detox baths are an easy and gentle way to help your child detox – naturally. By simply adding a few natural ingredients to your child’s bath, you can turn their bath into a healing experience. My second baby had eczema and I quickly discovered the healing benefits of detox baths. Since then, I have become a huge fan of giving them to both of my kids. I add some Epsom salts to my kids’ bath once every week or two for maintenance. In this article, we will explore when and how to give your child a detox bath as well as the potential benefits it can have on your little one’s health. Why Do Kids Need to Detox? How Do Babies Benefit From Detox Baths? When Should You Give Your Baby a Detox Bath? What Ingredients Do You Need for a Detox Bath? Simply because kids today are subjected to more heavy metals and toxic chemicals than ever before. They are present all around us – in the food we eat, the homes we live in, the toys they play with, the grass they run on, the medication they are given, the air we breathe, the water we drink, and so on. Detox baths are powerful because they are easy to do, and they help support the body’s natural detox pathways. Think of detox baths as another proactive approach to handling your child’s toxic exposure. Because if left unchecked, toxins and metals can accumulate and cause severe damage in our bodies. And due to their young age and the fact that their systems are still developing, babies and toddlers are even more affected by these toxins than we are as adults. The liver is one of the most important organs in the body because it is responsible for ridding the body of toxic waste. It’s the liver’s job to convert metabolic waste and toxins into water-soluble form, which in turn then leaves the body through urine or sweat. A detox bath helps support your child’s liver by opening up the pores and removing toxins through the skin, and by supplying much-needed minerals to aid the body in its natural detox processes. A detox bath is one of the easiest and most effective healing therapies to help your child’s body detox naturally. After Vaccines or Medication: Vaccines can contain harmful ingredients such as aluminum, monosodium glutamate, and antibiotics. These ingredients have a cumulative effect on the body as the toxins build up in the body. And heavy metals such as mercury and aluminum are particularly difficult to flush out. A detox bath can be a safe and effective way of ridding your children of toxins that have built up in their bodies as a result of vaccines or medication. Detox baths help support the body’s natural detoxing processes and help rid the body of chemicals, metals, bacteria, viruses, and cellular waste. You know your child best, but I recommend giving a detox bath for 2-3 days after your child has received any vaccinations or medication such as antibiotics (and be sure to give a good probiotic as well). And then I would continue doing weekly or biweekly maintenance baths after that point. When Your Baby is Sick: If your child is showing signs of a cold or flu, a detox bath can be an extremely effective way of kicking that cold right out of his system. Even if your child isn’t ill, a weekly detox bath can help strengthen their immune system and help keep colds and flu at bay. If your child feels tired, has had a particularly long day involving strenuous activities, or is simply cranky and restless, a detox bath can be a great way to calm, soothe, and relax him before bed. If Your Baby Has Eczema: Detox baths can also be very beneficial for children suffering from skin conditions such as eczema. Often times, babies with eczema are dealing with a toxin overload and a detox bath can help rid the body of toxins, deliver minerals they may be deficient in, and reduce dryness, itchiness, and inflammation. Dead Sea Salt baths were immensely helpful in keeping my son’s eczema from getting infected during the height of his eczema flares. I like to keep it simple and use only a few natural ingredients in a detox bath, including baking soda and bath salts. I also occasionally add in some other helpful ingredients such as bentonite clay and apple cider vinegar. My basic detox bath recipe includes baking soda, Epsom salts, and bentonite clay; I try to do this at least once a month and follow up with weekly Epsom salt baths. The nice thing is that you can find what works best for you. Please note that I do not recommend adding essential oils to your child’s bathwater. Though I love my oils, it is important to note that essential oils and water do not mix. Essential oils are not water soluble and can cause irritation if added directly to your baby’s bathwater. Though you could add them to a carrier oil before adding them to the bath, I am also quite cautious in how I use oils and prefer not to use them directly on babies and young children. 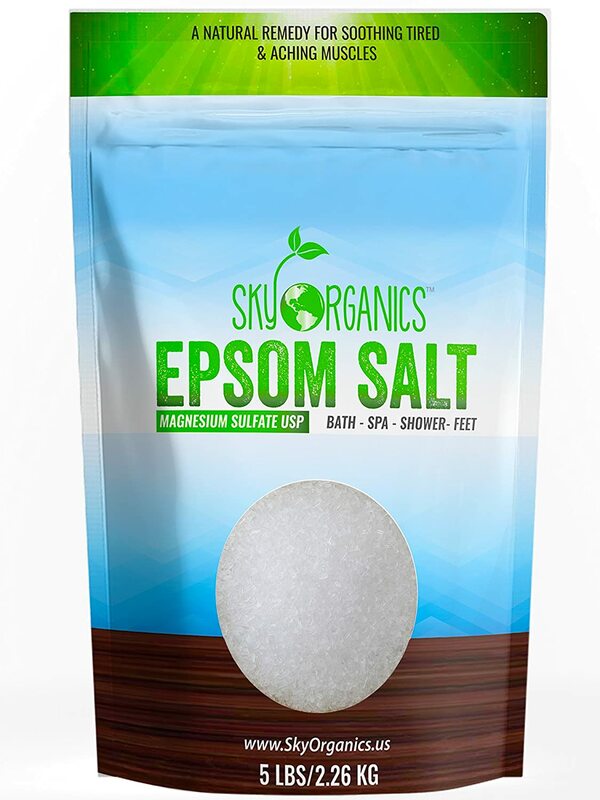 Epsom salt, which is simply magnesium sulfate, has been used for hundreds of years due to its healing properties and ability to relieve all sorts of aches and pains. Epsom salt is high in magnesium, a miracle mineral that regulates the nervous system and which most Americans are deficient in. Magnesium helps promote healthy circulation and helps the body to relax. It also helps relieve inflammation and can aid in healing the bumps and bruises your little one gets, too. Simply soaking in Epsom salt helps boost magnesium levels in the body, and I couldn’t recommend this enough for not only babies but adults too. Epsom salt is also high in sulfate which helps in easing migraines, flushing out toxins, and helping absorb nutrients. Sulfate is also essential for the gastrointestinal system to function optimally. Be careful when buying Epsom salts, because you want only pure magnesium sulfate. Do NOT buy any Epsom salts that contain any fragrances or essential oils. I personally use the Sky Organics brand. Add approx. 2 Tbsp. of Epsom salt to a regular bath or 1 tsp. to a baby bathtub. You may also want to start slowly and gradually build your way up to the recommended amount. Most of us living in the United States have chlorinated water, unfortunately. As such, you’ll want to avoid having your baby absorb the chlorine during their bath. Baking soda (sodium bicarbonate) helps neutralize the chlorine in the water, as well as increase mineral absorption. It also helps neutralize the pH of the bathwater. Add about 1/2 cup of baking soda to the bath water for a regular bath, or approximately 1 teaspoon for a baby bathtub. In addition, I also recommend using a shower filter like this one or this one or eventually adding a whole home water filter if that is within your budget. 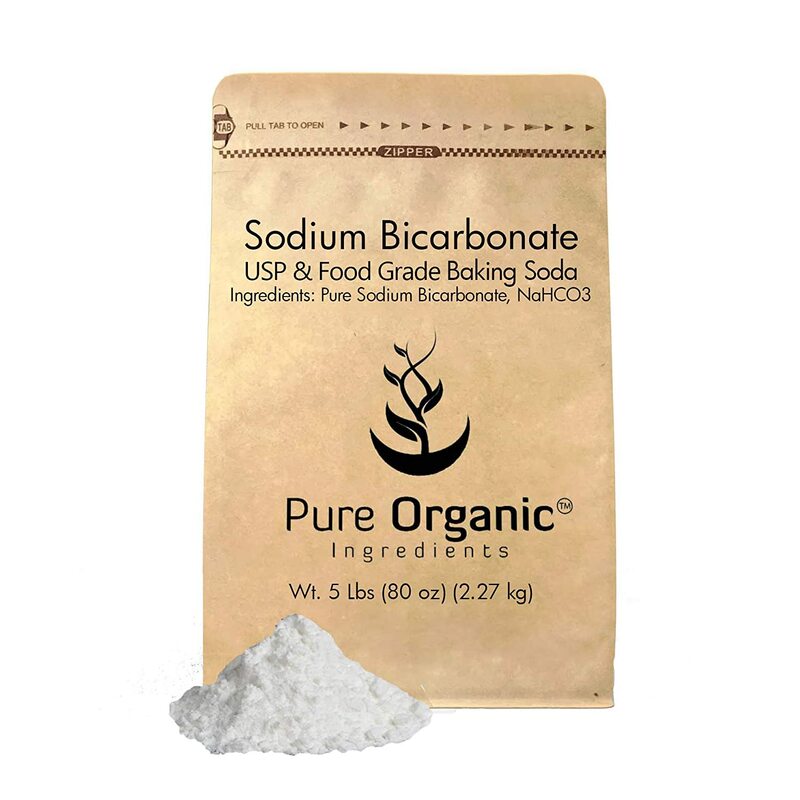 I use the Pure Organic brand of baking soda for detox baths. When mixed with water, bentonite clay becomes negatively charged. Much like a magnet, it attracts positively charged chemicals like lead, mercury, and aluminum. It is a powerful detoxifying agent. 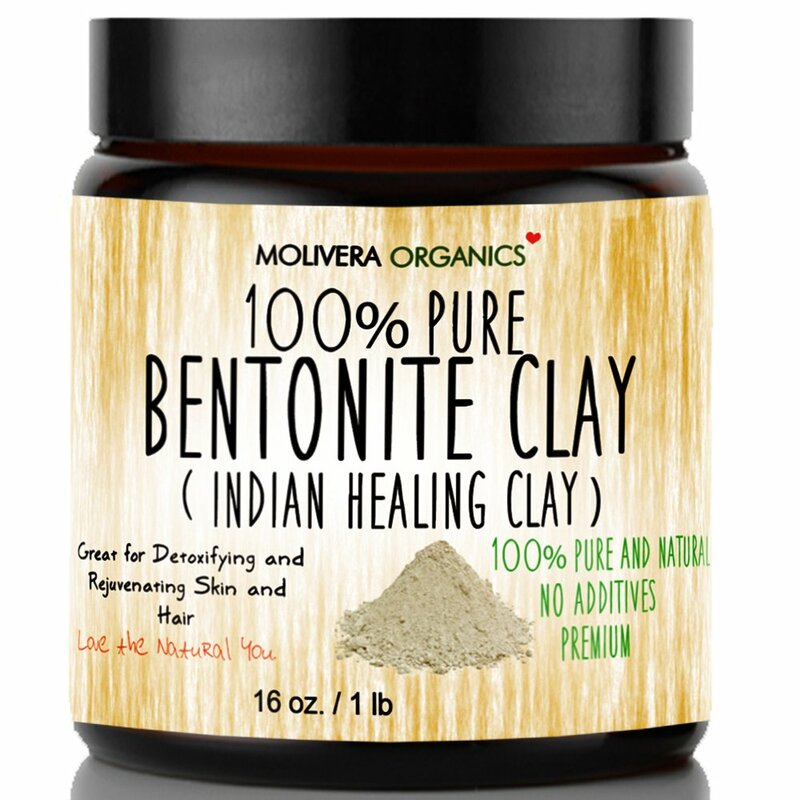 In addition to ridding our body of toxins, bentonite clay also attracts bacteria and viruses. It is reported to have the capacity to absorb pesticides, treat metal poisoning, and restore liver function. I recommend using 1 Tbsp. of Bentonite Clay in a regular bath or 1/2 tsp. in a baby bath. 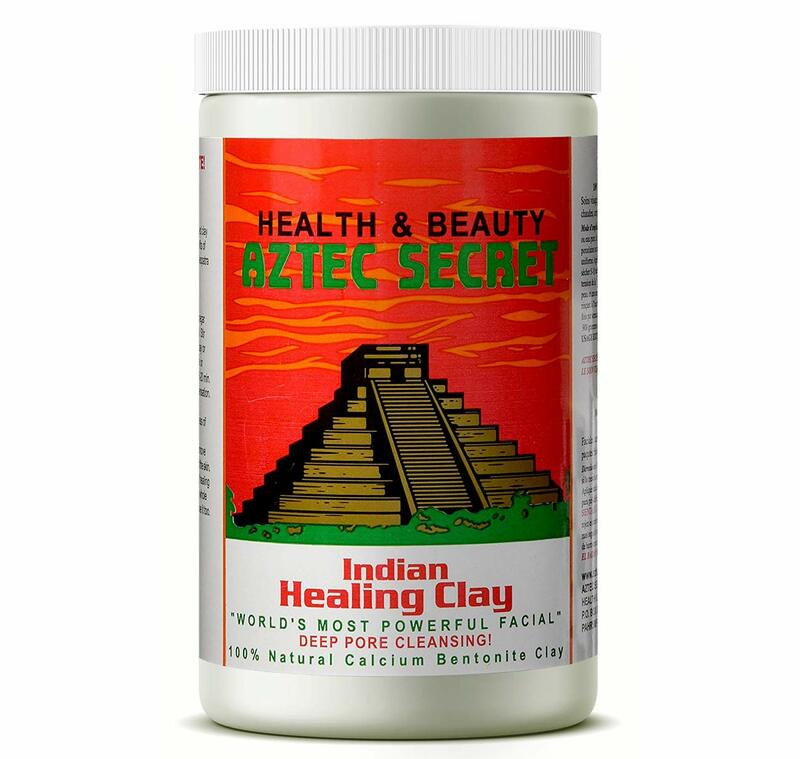 I use either the Molivera Organics or Aztec Secret brands of Bentonite clay. You can mix the clay with water prior to adding it to the bath, but be careful not store your bentonite clay in a metal container or scoop it out with a metal scoop or spoon because the clay can absorb the metal. I love Apple Cider Vinegar. I use it in so many ways, including in a detox bath. Apple cider vinegar is another one of those amazing ingredients, with many different uses and healing properties. A lot of the food (particularly processed foods) that children consume may leave behind excess uric acid in the body. Adding about 1/4 cup of apple cider vinegar to your little one’s bath can help give your child’s kidney a boost in filtering this acid. ACV also contains natural C and B vitamins, which your baby will be able to absorb through their skin. Children suffering from skin issues such as yeast or eczema also benefit from apple cider vinegar in their bath water as it promotes healing and helps balance the pH of their skin. The only brand of ACV that I will use is Bragg. Be sure that any brand you buy is organic and contains “the mother”. Most people find Epsom salts to be relaxing, but some babies (like my second) may be sensitive to it. My baby’s sleep would get disrupted when he had an Epsom salt bath, so I mostly use Dead Sea Salt baths for him. (Though I have now gotten him to tolerate 1-2 tsp. of Epsom salts in his baths by starting small and increasing the amount gradually. This is usually a sign that your baby needs the magnesnium sulfate but is reacting to it because they are receiving too much at once.) As an alternative to Epsom salts, Dead Sea Salts are also a good choice for clearing up eczema and impetigo. Also be sure to only buy a pure brand of Dead Sea Salts, made without any added oils or fragrances. 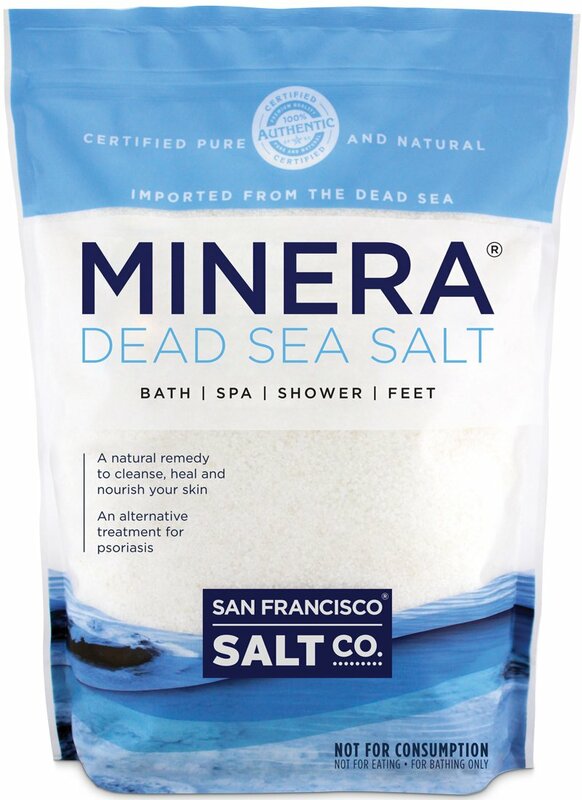 I use the Minera brand of Dead Sea Salts. As with anything else, consult your healthcare provider before giving a detox bath. You and your child’s doctor are best equipped to determine the best course of action for your baby. Start slowly and build up the dose of your detox agents over time. You do not need to start with the full dose. I usually like to give a detox bath before bed, since the magnesium in Epsom salt is relaxing and may cause sleepiness. Detox baths can be dehydrating. Be sure to give your baby plenty of breastmilk or water (if age appropriate) before and after a detox bath. If your child is school-aged, avoid giving a detox bath on a school night. If your child gets itchy in the bath, be sure to rinse them well afterwards. You may need to stop the bath early and try again another time. If they continue to itch, you may want to try Dead Sea Salts instead of Epsom salt, or significantly reduce the amount of Epsom salt that you use in the bath. How to give your baby a gentle detox bath. Note: If your child doesn't like to take a bath, try a foot soak at the sink or tub instead. Fill a tub with hot water, up to the comfort level of your child. The water should not be so hot that it scalds your child but it needs to be warm enough that it helps your child’s pores to open up. Bonus if you can let the bathroom get a little steamy. Add your ingredients of choice to the bath and allow the salts to dissolve in the water. After 10-15 minutes, place your child in the bath. Allow them to soak in the bath for as long as they will tolerate it, for up to 15 minutes. If your baby is young, I would start with a shorter bath of about 5 minutes and gradually build up their time in the bath as they get bigger. Rinse off your child well. Help your child hydrate well after their detox bath. Did you find this article on detox baths for babies helpful? I hope you find it easy to build detox baths into your weekly or monthly routine. Please comment below if you try this recipe and let us know what worked for you. Here’s to good health!